John W. Glaholm – Our October Masonic Research Project – ASHLAR LODGE, No.3, A.F.& A.M. Welcome to the Ashlar Lodge, No.3 Masonic blog. This is the first actual blog post since our new website went online on 21 October 2015. Nanaimo has a rich Masonic history and heritage but we have forgotten or overlooked much of it. When I posted the first information of our Historic Membership Lists pages I came across the name of Brother John William Glaholm in our 1920s and 1930s membership lists. 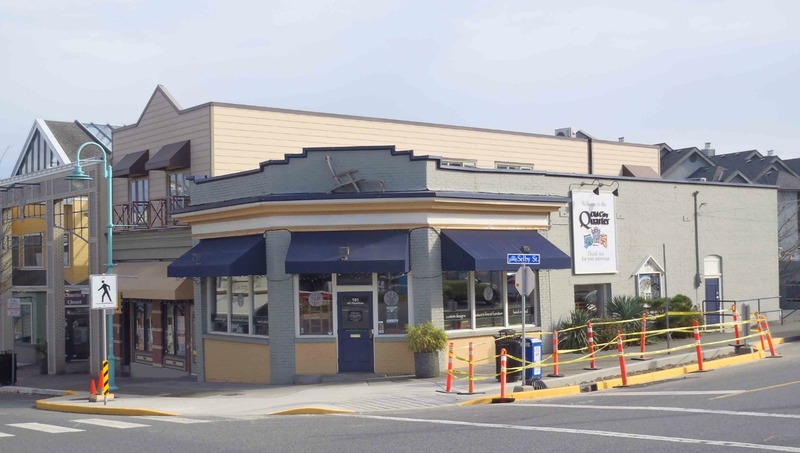 Then I stumbled across a building on the Nanaimo Heritage Register: the Rawlinson and Glaholm Grocery, built in 1916 and designed by Seattle architect E.J. Bresemann, who also designed several buildings on the City of Victoria Heritage Building Registry. Rawlinson & Glaholm Grocery building, 437 Fitzwilliam Street, Nanaimo, built in 1916. So for our first Ashlar Lodge, No.3 blog research project, I’m going to look into whether the the “Glaholm” in the “Rawlinson & Glaholm Grocery” is the Bro. John William Glaholm listed in our Ashlar Lodge, No. 3 Historic Membership Lists. I’ll post what I find in a later blog post. If anybody else has anything about Masonic history in Nanaimo or wants to do some research, please forward what you find to webmaster@ashlar3.com and I’ll post it here. WB Tim Findlay and I went to the Nanaimo Archives today and looked up the obituary for John W. Glaholm. It turns out the John W. Glaholm who was involved in the Rawlinson and Glaholm Grocery is, in fact, the John Glaholm who appears in our early Membership Lists. We have updated the website to include these findings and created a page for John William Glaholm.